Many successful people don’t believe they are lucky. Instead, they attribute their accomplishments to hard work, a prerequisite to opportunities. 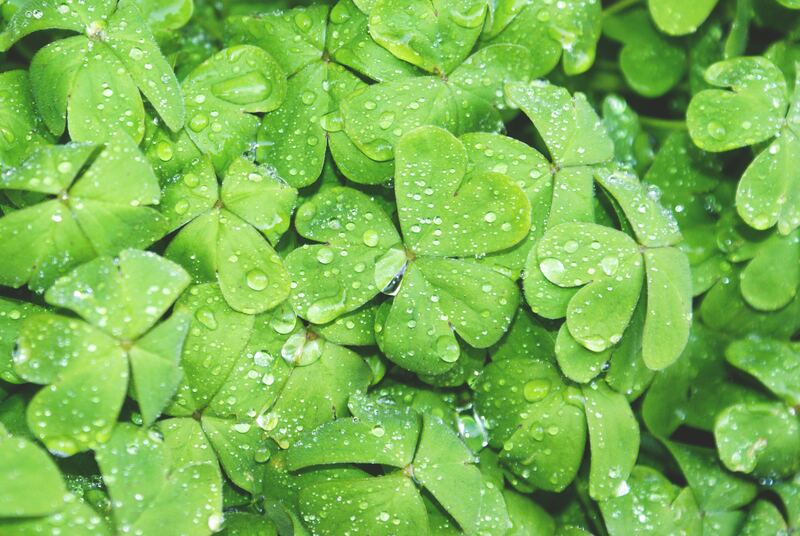 Shamrocks, parades and pots of gold may be on many minds this month. Instead, they cite specific qualities that have helped them accomplish their dreams. They take time to think. Author Richard Watson plans an annual “think week.” The idea sprouted from Microsoft founder Bill Gates, who “takes time to reflect on the future of technology from deep in a forest, for example. He reads dozens of academic papers during a solitary and studious retreat in the woods, which helps him to fuel innovative thinking all year long,” Watson says. They invest in learning. Professionals and small-business owners must be willing to invest in themselves, says John Lee Dumas, a host of the top-ranked podcast “Entrepreneurs on Fire.” Dumas earns a seven-figure income from his program, which launched in 2013. If it’s not money, he says, entrepreneurs must be willing to invest time, energy or effort. They prioritize. “Busy” seems to be a buzzword in today’s working world. However, new research finds that demanding schedules don’t necessarily result in improved productivity. Morten Hansen, a management professor at The University of California, Berkeley, says his study revealed high achievers were able to “concentrate on a few things that really matter for performance.” Most work fewer hours and experience greater levels of productivity, Hansen says. They find niches. “I don’t feel that luck has been a part of my business success,” says Sloane Wendell, owner of iSOFloat. Wendell, who owns the flotation therapy spa with her husband, says finding specialty markets and having a passion in those areas—plus the true grit of “working your bootie off”—have brought success. “There’s no luck involved; failure is not an option,” Wendell says. They are accountable—and vulnerable. Making mistakes is part of being a leader, according to Rajeev Shroff, an executive business coach. “This doesn’t mean being a reckless leader,” Shroff wrote recently on LinkedIn. “It means being responsible for why things didn’t work out in your favor and in what way could you have approached a problem.” Shroff goes on to say that successful leaders don’t hide behind their titles. They accept that mistakes will happen and their willingness to admit vulnerability isn’t a sign of weakness. “Team members often want to relate to their leaders as individuals and want to know that they, too, have experienced similar obstacles to get to where they are today,” he says. They guard their time wisely. To avoid burnout, actress, producer and author Shonda Rhimes says she doesn’t answer work-related calls or emails in the evenings or on weekends. How does Rhimes teach people to respect her downtime? “My email signature says, 'I do not answer calls or emails after 7 p.m. or on weekends, and if you work for me, may I suggest that you put down your phone.'" Which of these qualities can you adopt to bolster your success in the coming months?